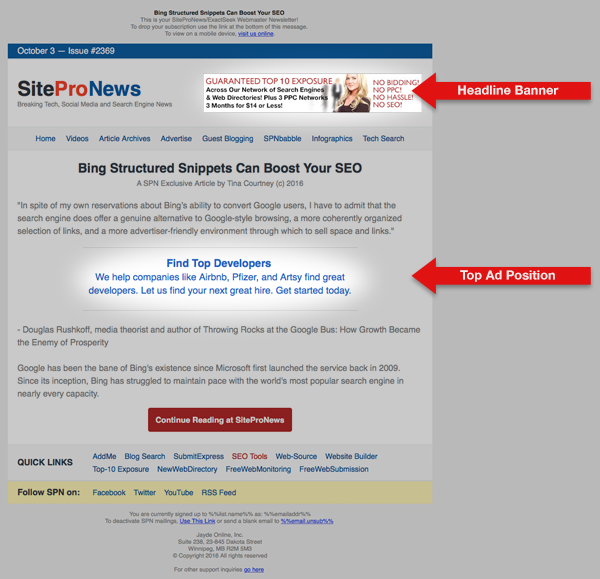 SiteProNews is a Breaking Tech, Social Media and Search Engine News publication. 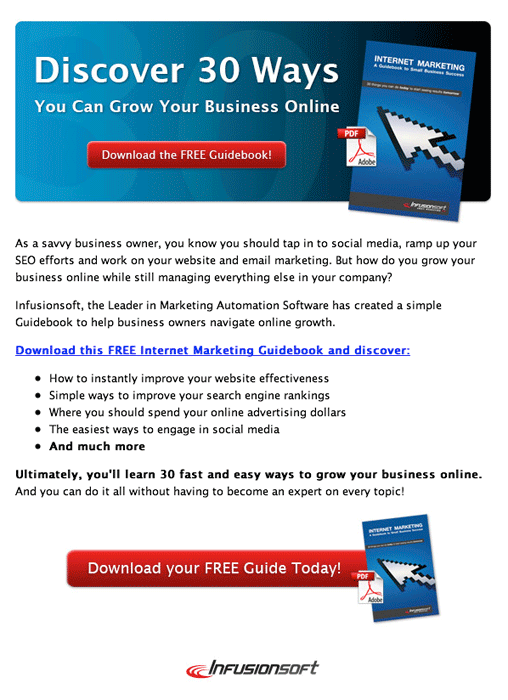 Sent to 300,000+ targeted Business Owners, C-Levels, SMBs and Startups. Newsletter Content focuses on Marketing Platforms, Social Media, SEO, Email Marketing, Website Optimization, eCommerce, Technology/IT and all other Online Business related topics. Content newsletters are published 3 times per week (Mon, Wed & Fri) and offer 2 ad placements above the fold per issue. Dedicated mailings are sent out twice per week (Tues & Thurs) and are 100% advertiser content.